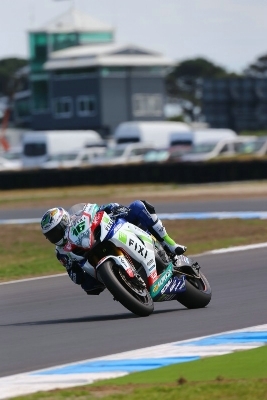 WSB: Camier "Not as comfortable as in testing"
Fixi Crescent Suzuki’s Leon Camier continues to fly at the season opener in Australia, securing the fourth spot in the opening qualifying session of the season. After showing stunning pre-season form and topping the timing sheets in the testing last week, Camier has shown his face pace is not to be messed with as he finished fourth in the first qualifying practice today. Leon and his GSX-R put in a time of 1.31.608, which is just 0.3 seconds off Fabrizio’s time in first. 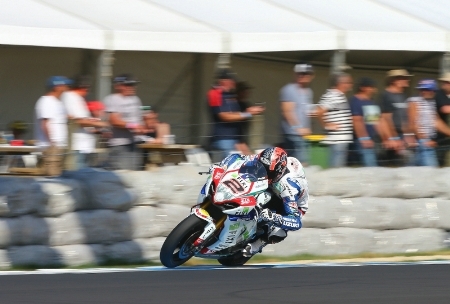 Teammate Jules Cluzel made a steady start to his 2013 campaign, securing the 18th fastest time in the session. Cluzel is slowly gaining confidence after three big crashes he had in the pre-season tests, and is hopeful he can make it into the ever competitive Superpole tomorrow. The Frenchman’s time of 1.32.801 isn’t too far off fastest man Fabrizio’s time of 1.31.317 and he hopes to improve as the weekend goes on.